One of the best, if not the THE best, Benetti Tradition 100 available today. One Owner from new, designed specifically by him and his team to create a light, airy and luxurious surrounding perfect for private or charter cruising. Immaculately maintained with continuous investment, the yacht has also benefited from stable crew over the years who have taken as much pride in SALU as the Owner. 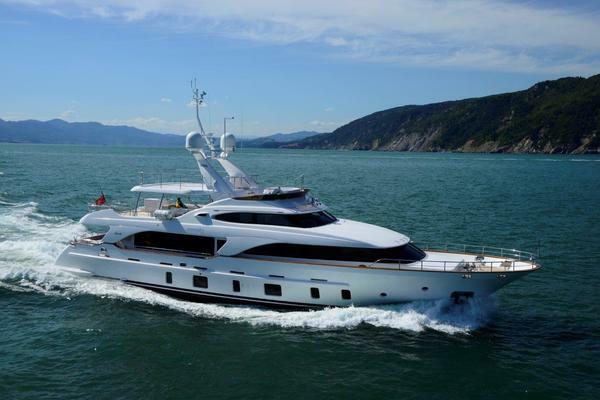 For summer 2016 SALU had 12 weeks of third party charter giving the Owner one of the best returns within this size and style of yacht and for summer 2017 she was booked for 10 weeks of third party charter. SALU truly is a ‘little ship’ in every sense and belies her length. Perhaps the standout features are the spacious main salon, exceptional master suite and the unparalleled bridge deck. Difficult to really pinpoint one feature as they are all so good and make her a joy to behold. Why SALU? Consistent 10-12 weeks charter every year. Fantastic inventory of watersports equipment, Kaleidescape AV system updated, zero speed stabilizers and so much more. Berth 343 on Capitannerie Quay, Antibes is available by separate negotiation. 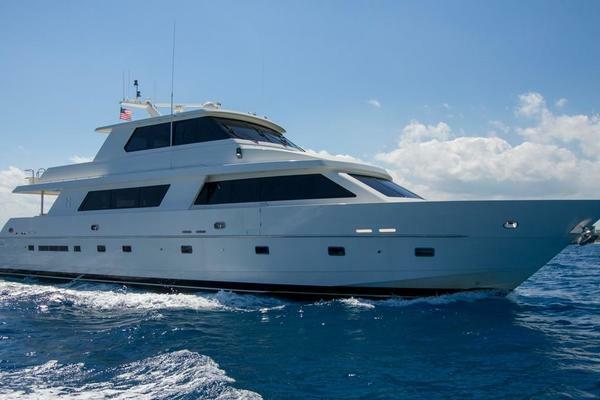 United Yacht Sales New Jersey would love to guide you through a personal showing of this 98' Benetti Tradition 100 2008. This yacht for sale is located in Antibes France and priced at $3,950,000. For a showing please contact us by filling out the form on this page and we will get back to you shortly! 8-9 guests in 4 staterooms and 6 crew in 3 cabinsSaloonLight and spacious with lounge, bar and interior dining. All surfaces recently French polished, floors stripped and re-stained, new side panels on forward bulkhead, new carpet ’14 / ‘15Master StateroomForward on main deck with King size bed (2030 x 1860 x 200), ensuite bathroom with custom made limestone bath and new shower cubicle with all new fittings. Floors stripped back and re-stained, new carpet ’14 / ’15, new deckheads ’14 / ’15, Apple TV and iPad dockVIP StateroomAft on lower deck having separate access. Queen size bed (1800 x 1960 x 200), full width ensuite bathroom and walk-in wardrobe. New shower and floor fitted ’14 / ’15, new carpet ’14 / ’15, all wall panels renewed ’14 / ‘15Guest StateroomsSituated amidships there are two identical size staterooms. One double (1500 x 1920 x 200) and one twin (900 x 1920 x 200). The twin has an additional Pullman for children only (max. 50 kg). Both have ensuite bathrooms with new shower trays and trim. New carpet ’14 / ‘15Crew AccommodationThe crew accommodation comprises of 3 twin cabins (ensuite) and a crew mess area with sink, microwave and fridge. Mattresses and linen new 2015. New floor fitted 2015. TV/AV and CCTV.Deck ArrangementAft deck – Seating, coffee table with access into main salon forward and aft to the swimming platform.Bridge deck – One of the exceptional features of SALU is the bridge deck with seating, bar and exterior dining area. Fabric wind shields if required (new ’15). Tender storage aft although tender normally towed when cruising if conditions allow.Sun deck – Inbuilt sunbathing pads with removable shade, seating access forward to second seating area and fly bridge controlsMain deck forward – Additional sun bathing pads forward of Master StateroomAft Lazarette – Storage for all watersports equipment. Hydraulic large aft door opens to become the swimming platform.